I was caought speeding by a French motorcycle cop. 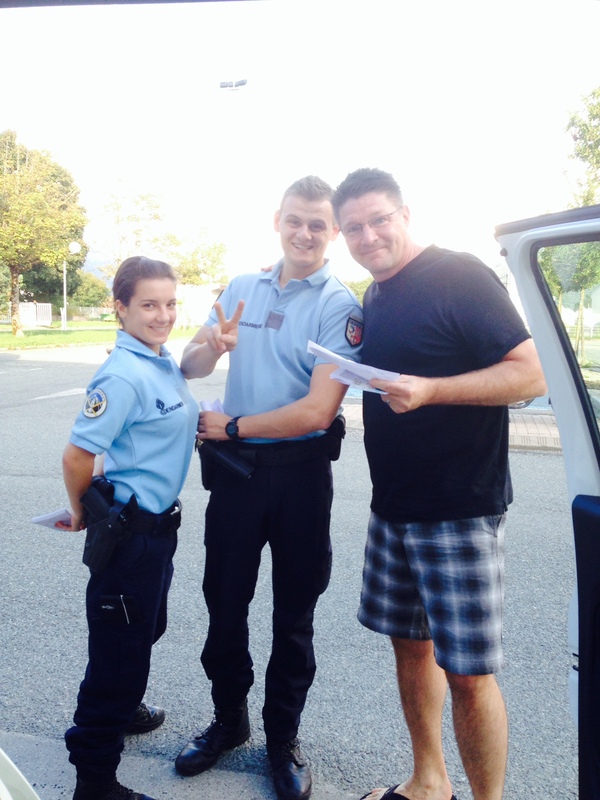 I had to follow him to the police station where these two young cops wrote me up. I had to pay 90 Euros on the spot. It’s the least they could do since I had to pay 90 Euro’s on the spot!